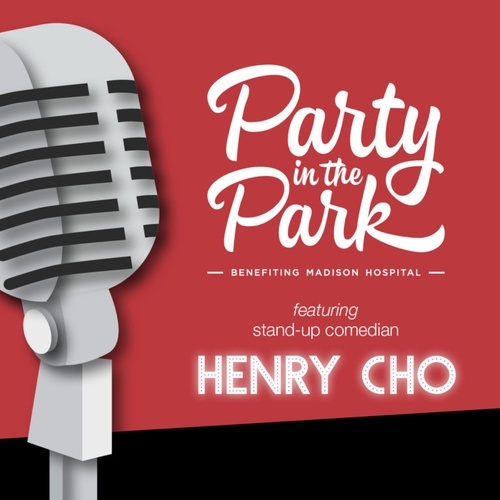 Tickets are now on sale for Party in the Park, benefiting Madison Hospital! This year’s event will include a buffet dinner, silent auction, and a live show featuring stand-up comedian Henry Cho. Cho has appeared on NBC’s The Tonight Show, CBS’s The Late, Late, Show and NBC’s Young Comedians Special. Guests will laugh the night away while raising money for a new MRI-compatible Anesthesia System for Madison Hospital. Guests also have the opportunity to purchase chances to win our fabulous gift card treasure chest giveaway! Buy your chance to unlock $1,000 in gift cards with the winning key: $25 each or 5 for $100 (must be present to win).